THE CANYON ROAD ARTS DISTRICT is Santa Fe’s oldest and most historic district. Nestled in the foothills of the Sangre de Cristo Mountains, historic Canyon Road, is a winding thoroughfare lined with centuries-old adobes filled with art. 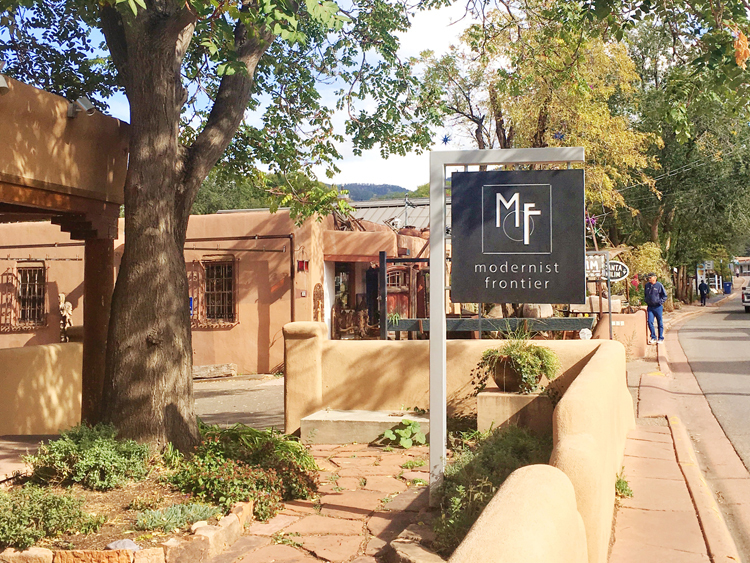 More than 80 galleries line Santa Fe’s longest-established arts district, the highest concentration of galleries in the city. Originally residential, Canyon Road has a colorful history as an art center dating back to the early 20th Century when five emerging painters—Will Shuster, Fremont Ellis, Walter Mruk, Jozef Bakos, and Willard Nash— “Los Cinco Pintores,” made it their home. Today, Canyon Road is a destination for classic Santa Fe art from this period as well as contemporary and modern work. Stroll this picturesque trail to experience fine art, great shopping and exquisite dining any day of the week. © 2019 Curt Doty Company, LLC. All rights reserved. The Santa Fe Art Experience has trademark pending.